2019 Carnival of Cadiz - One of the most colourful carnivals in Spain! 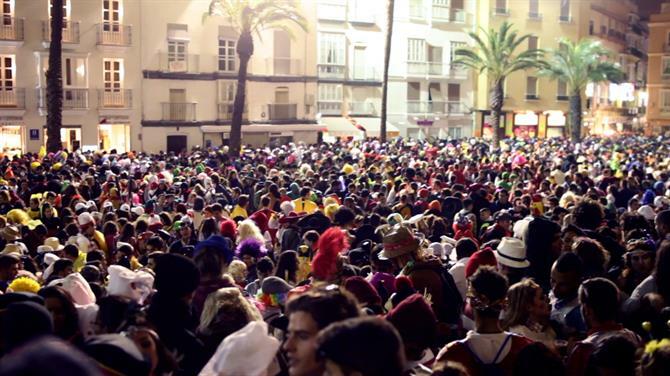 It's not too long before the streets of Cadiz will fill up with a series of costume-filled parties, spread over 11 wild days. During this time, the streets of Cadiz's historic centre and the oldest neighbourhoods of the city will be flooded with dancing, music, and festivities. 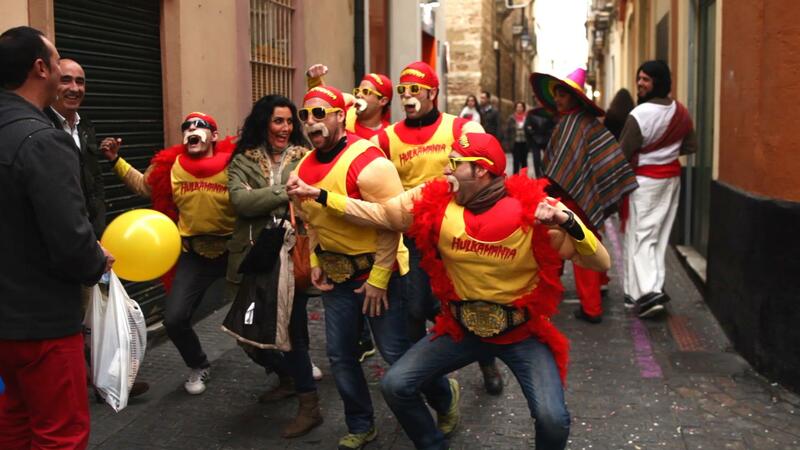 Make sure to check out this video of the Cadiz Carnival - it'll give you an idea of what's in store! The origins of the Cadiz carnival are said to date back to the 15th century when Italian traders were based in the historic seaside city. 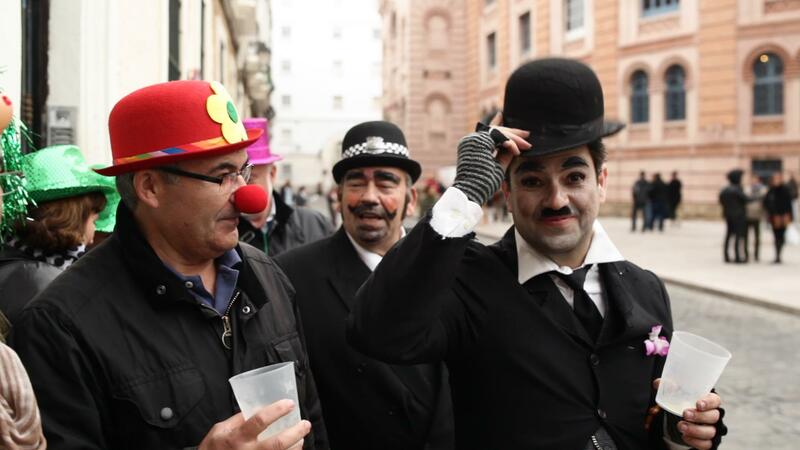 Homesick and nostalgic for the traditional Italian carnival, these traders greatly influenced what has now become one of the biggest and most funny carnivals in Spain. Officially named an international festival of touristic interest on 16th February 1980, the carnival has only continued to grow since and is visited by locals and foreigners alike year after year. It is well known that the Spanish nightlife calls for partying well into the early hours of the morning. During the 11 days of the Cadiz Carnival, fiestas are amplified, the streets filled edge to edge with people eager to see parades, fireworks, comedians, puppet shows, acrobats and enjoy the non-stop music of the carnival. What should I wear to the Cadiz Carnival? 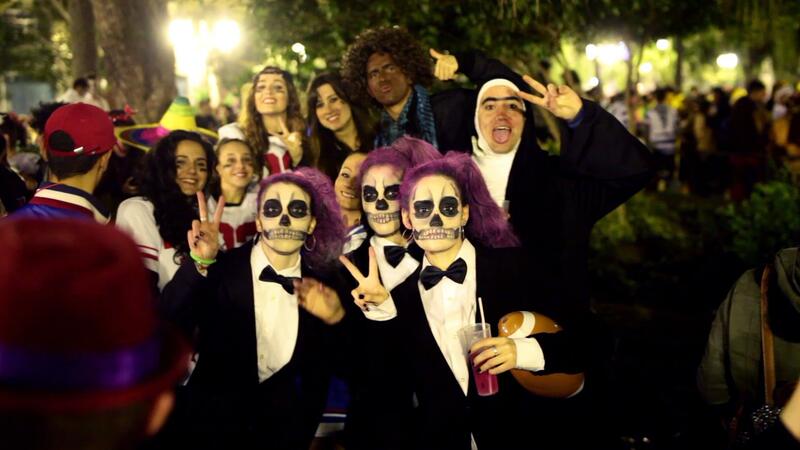 What is a carnival without costumes? Well, you could say that dressing up isn't really an option. If you want to truly feel like you're part of this marvellous party, you're going to have to put on your best costume. Costumes range from crazy sunglasses and hats, to full outfits, wild makeup and the personality to go along with the look. You'll see people in unique matching or coordinated group costumes and impressive individual ones too. Don't hesitate to pack your strangest attire and head out to the streets as one of the crowd. Enjoy what you find along these historic calles; around every corner there are surprises, satirical songs, and countless strangers dancing, laughing, and poking fun at each other. A sight you'll only see at the Cadiz Carnival. The most popular events of the carnival have to be the parades, alongside the famous musical events led by both enchanting street singers and professional groups. During the parades you'll be able to enjoy colourful floats carrying dancers, singers and acrobats. Everyone makes sure to put on their best performances, promising that all spectators have nothing but a good time. The parades are a favourite event for all ages; kids especially love catching the candy that is thrown throughout. Music is one of the most important parts of the Cadiz carnival. This is clear from the "official contest" held at the Grand Teatro Falla, which finishes just in time for the carnival to begin. 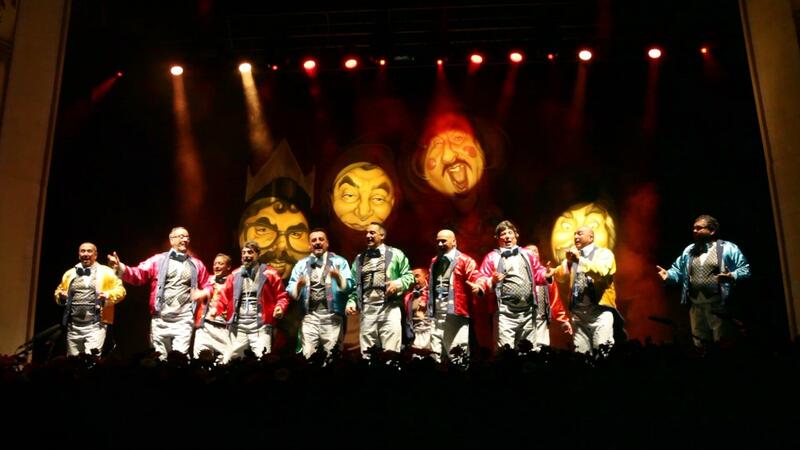 Three of the most well-known musical groups that you'll see are the chirigotas who comically sing about current events; the large coros choirs, that alternate between funny and serious songs accompanied by guitars; and the witty comparsas who sing satirical songs about politics. All of the groups wear elaborate costumes and you will find them performing throughout the city during the festivities. You'll also likely run into the cuartetos quartets, who perform music and always-comical skits and improv in small groups accompanied by only a couple of instruments. And don't forget the romanceros, performers who head out into the streets with huge posters to help tell their funny tales. It is undeniable that Cadiz has some great food and wines, the city's rich cuisine is largely based around fish and seafood. During the carnival, you'll probably find yourself eating out a lot, and this is definitely the best option for living the experience like a local. The streets of Cadiz are populated with countless tapas bars where you can order homemade tapas, either sitting down to eat or taking your food to go. You'll know that you're among "gaditanos" - the Cadiz locals - when you see people along the street eating incredible food from take out containers. So typical during the carnival! Some of the best tapas include Spanish shrimp tortillas, sea urchins, various fish and seafood accompanied by numerous delicious marinades. You might also want to try the fritura, which is different types of inexpensive fried fish served in large portions. Another restaurant to check out is El Ventorrillo del Chato, which is famously know as one of the places that contributed to the history and origin of Spanish tapas. You might get told that you shouldn't even think of sleeping during the carnival, but it's true that getting some rest in between the festivities is a wise idea. A good option for accommodation is to choose a unique holiday rental in Cadiz or nearby villages. Expect this to be a busy time to find a place to stay, because people from across Spain, as well as many other countries visit the area especially for the carnival fun!